The Moto Hint comes in several colours and styles. (Image: Motorola). For better or worse, a lot of wearable devices don’t seem to have hit the mainstream as of yet, with some consumers citing their conspicuousness as a reason for not adopting them. So if wearables like Google Glass didn’t strike your fancy, Motorola is hoping a small speaker nestled in your ears might be more appealing. Last week, the Lenovo subsidiary announced it was rolling out the Moto Hint, a small, light earbud that’s somewhat akin to Apple’s Siri or Google Now. It acts a personal assistant, allowing users to pair it with their smartphone and allowing to ask about the weather or for directions using natural language. 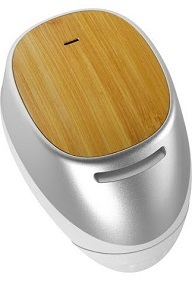 The Moto Hint in Bamboo. (Image: Motorola). For example, a user might ask the Hint, “What’s today’s forecast?” or “How do I get home?” and get answers sent to his or her earpiece. The device also allows users to get notifications, send messages, and call contacts. What’s also handy is the moment users take the Hint out of their ears, the device switches off, with calls going back to their smartphones. What’s even better is the Hint will work with basically any Bluetooth-enabled smartphone, giving users the ability to make calls for around three hours of talk time. If users carry the charging case with them, they can get up to 10 hours of talk time, according to Motorola’s estimates. 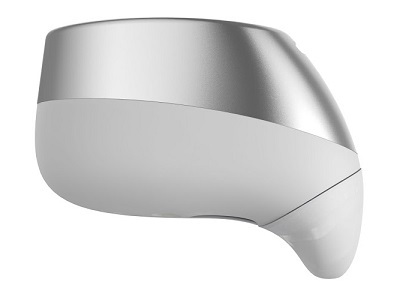 The Moto Hint, side view. (Image: Motorola). With the Hint, Motorola has built a relatively simple yet attractive device. The problem with a lot of wearable devices is they may be functional, but a lot of consumers balk at having to wear them – especially when they attract a lot of attention, like Google Glass. Even smartwatches can fail to find favour with consumers, if their design isn’t appealing enough. Yet the Hint is a lot subtler, and Motorola has worked hard to make it fit consumers’ aesthetics. It comes in a variety of colours and styles, from canvas, walnut, bamboo to leather. For consumers looking for a simple and inconspicuous wearable device to pair with their phones, this may be a nice option ahead of the holidays. The Moto Hint will land in Canada in early December for about $165 at Telus.